Democratic presidential candidate Julián Castro speaks at Bell Gardens High School, in Los Angeles County, on March 4th, 2019, in Bell Gardens, California. Border Patrol&apos;s name might seem self-explanatory: The United States has two borders, one with Mexico and one with Canada, and Border Patrol patrols both. 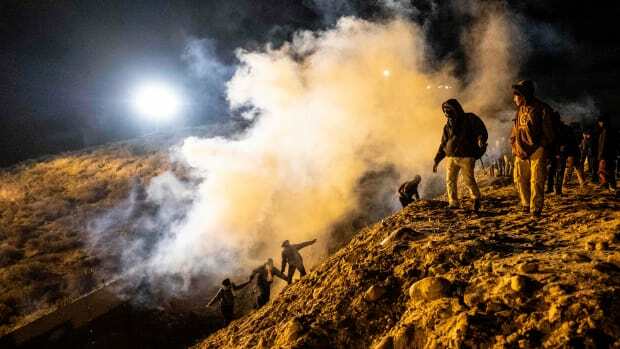 However, current federal regulation makes "the border" something very different from what most Americans might think. For Border Patrol (and other agents within Customs and Border Protection) the border is not just a line, but rather a 100-mile zone that stretches inwards from Mexico, Canada, and every coast. This means that CBP agents don&apos;t just inspect checkpoints between the U.S. and Mexico. They also pull over Greyhound buses in Florida and question women speaking Spanish at Montana gas stations. 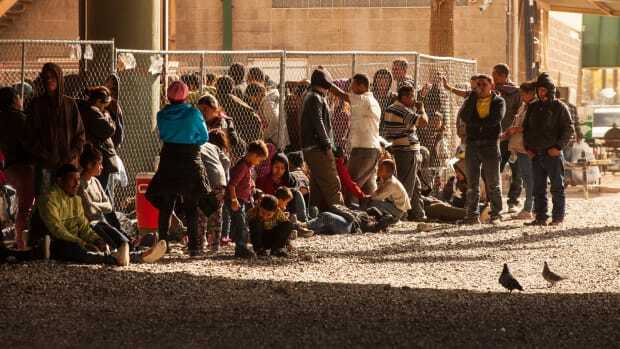 And while you might think of cities like El Paso, Texas, and Niagara, New York, when you think of border towns, for CBP, places like Portland, Oregon, or Savannah, Georgia, are in the "border zone" too. This gives CBP enormous power and leeway. More than two-thirds of Americans—about 200 million people—live in the border zone. Every inch of Michigan, Florida, Hawaii, and Maine lies within it. This means CBP agents can run operations, pursue people of interest, and put up checkpoints in neighborhoods where the majority of Americans live. It also means most Americans could plausibly be stopped by Border Patrol agents when they go out to get groceries or pick up their kids from school (though agents must establish "reasonable suspicion" before pulling someone over). One presidential candidate has put forward a policy to change the way the border zone works. 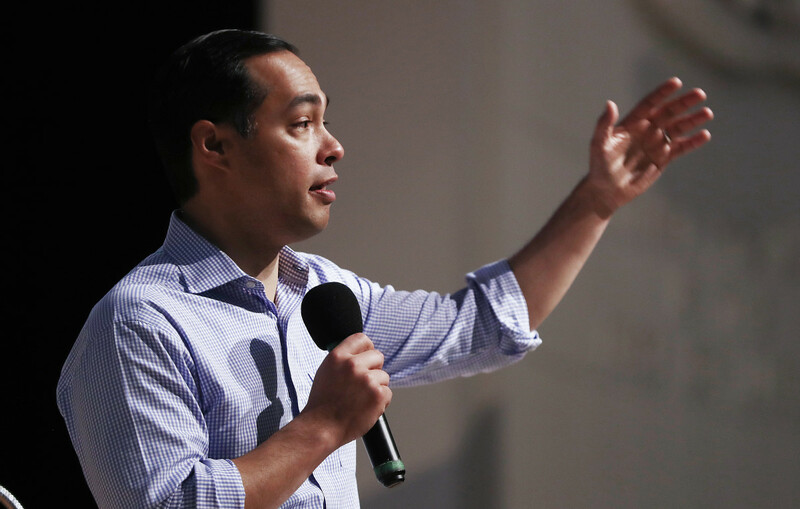 On Tuesday, Julián Castro, the former mayor of San Antonio and secretary of Housing and Urban Development under President Barack Obama, put forward his "People First" immigration policy proposal. The policy calls for CBP to turn its focus to "border-related activities including drug and human trafficking, rather than law enforcement activities in the interior of the United States." Castro&apos;s proposal for CBP—which could likely be accomplished using the president&apos;s executive discretion (in other words, without Congress)—would shift all Border Patrol operations to actual cross-border movement, instead of enforcement operations within the "border zone." CBP, for its part, maintains that such enforcement activity is necessary to complete its mandate to protect U.S. citizens and enforce border policy. 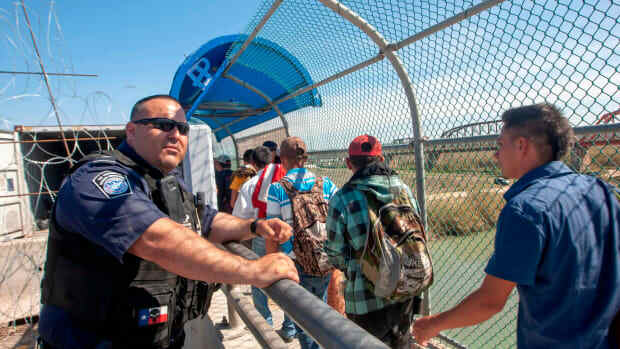 "Without this authority, persons evading our immigration laws could effectively vanish after crossing," Daniel Hetlage, a spokesman for CBP, told CNN in May of last year. "But with it, we have the ability to enforce our laws." 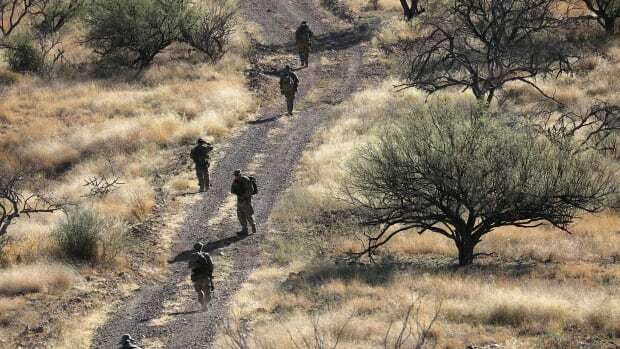 A recent arrest put armed militias patrolling the southern border in the public spotlight, but they have a lineage as long as the border itself. Did Trump Just Prove There's a Crisis on the Border? The number of people arrested crossing the southern border skyrocketed last month, according to new statistics. But what's happening is more complicated than the numbers show. 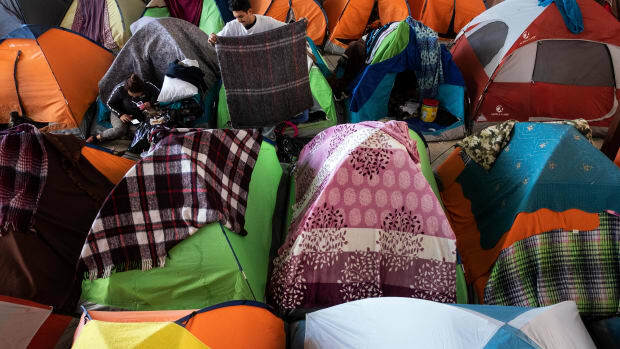 Despite cries to crack down on illegal immigration, a new analysis suggests that border crossings from Mexico have been falling for years and border crimes are less common than national average.